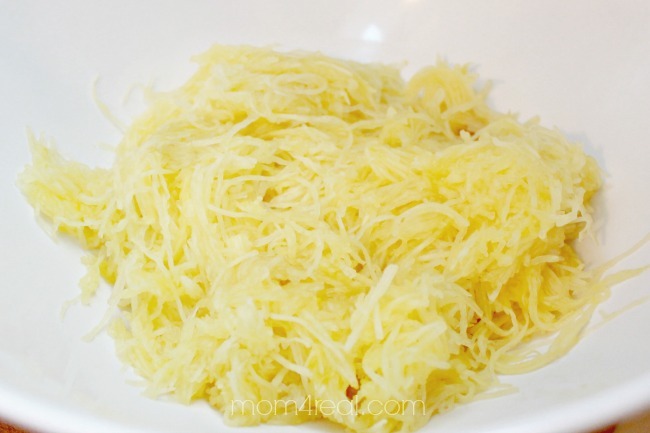 We have been looking for some new side dish recipes to add to our menu at home, and I’ve always wanted to try spaghetti squash. I recently tried it at a restaurant, and was pleasantly surprised at how delicious it was. When I went to the grocery this week, I decided to pick one up and give it a try! 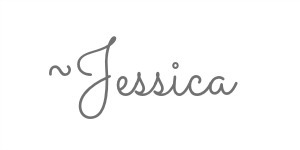 Not only was it easy to prepare, but it was a huge hit with our whole family…kiddos included! 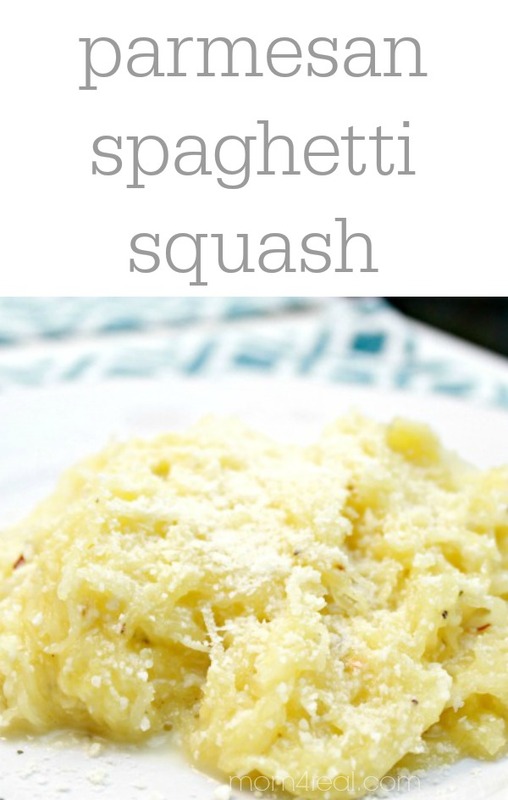 I want to share my parmesan spaghetti squash recipe, and also show you how easy it is to prepare! 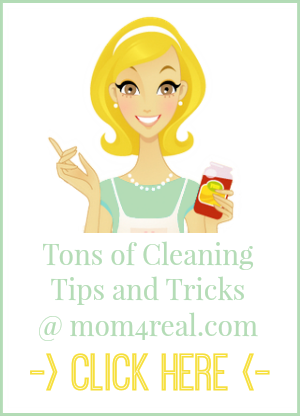 Wash before prepping! Preheat your oven to 350 degrees. 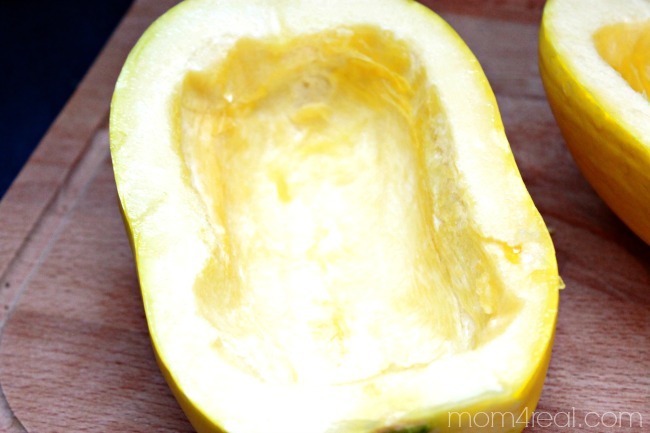 Place your halves face side down in a baking dish and poke holes all over them using a fork. Place them in your preheated oven, and bake for 40 minutes. 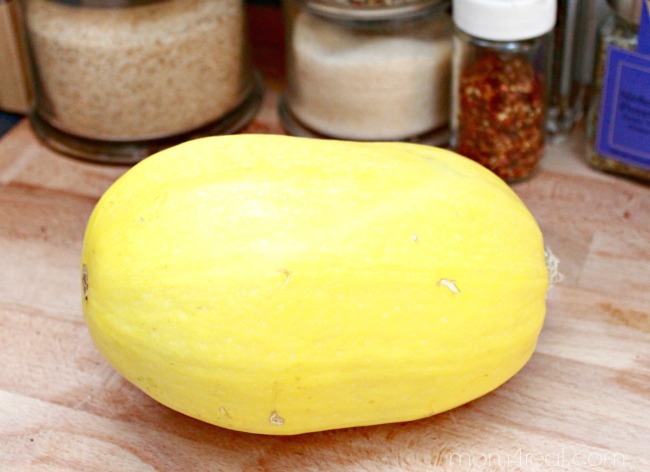 Take them out of your oven and use a fork to scrape the squash out of its shell. Doesn’t it look just like spaghetti noodles? 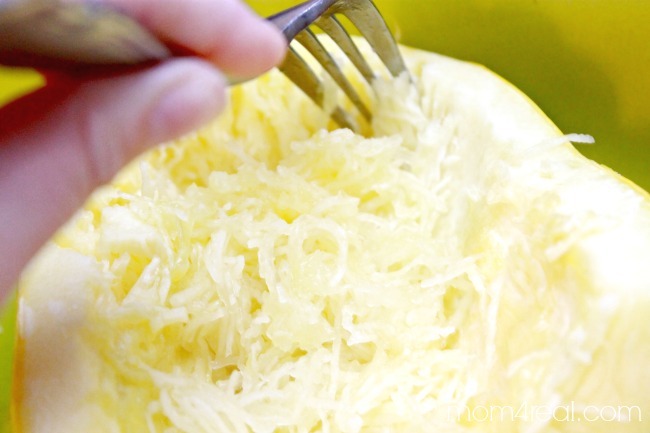 Now toss your spaghetti squash in 1/2 stick of butter, 1/4 cup of grated parmesan cheese, 1/4 teaspoon of salt and 1/4 teaspoon of cracked black pepper. 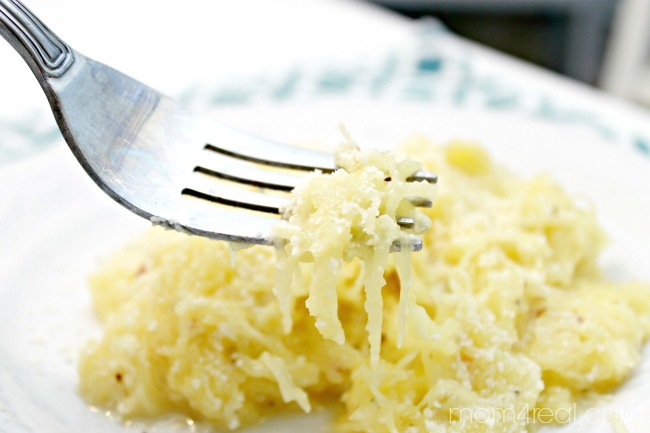 Sprinkle more parmesan cheese on top and serve! 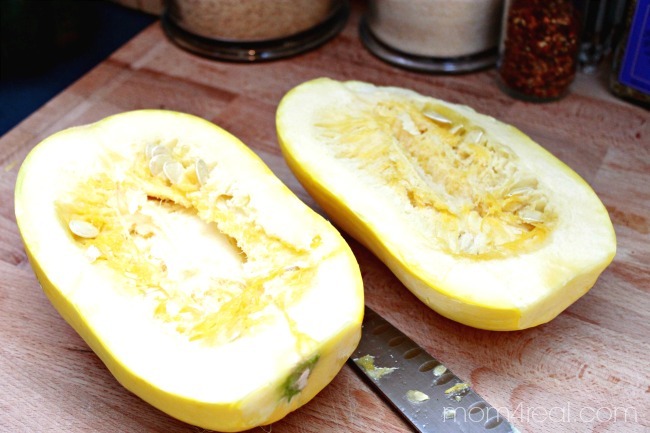 It’s so delicious, and will make the perfect healthy side dish for any meal! Temperature for the preheated oven is not listed? How are we supposed to know? 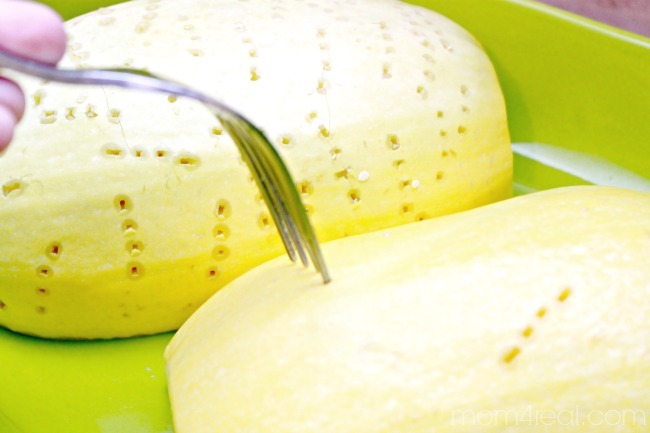 I’m sorry, what do you mean “cut the squash in disc instead of in half”? I made his today and it was so diffult to cut in half. I was nervous of cutting myself.